Bryan started took up shooting in 2005 for personal defense reasons. His research and education for personal/home defense reasons turned in to a recreational love of the sport. He has been a competitive shooter for 5 years in IDPA and USPSA Matches, and runs Bristlecone’s weekly Bowling Pin Matches. He received his Range Safety Officer in 2014 and became a certified Reality Based Training Instructor in 2016. Bryan is also an NRA certified pistol instructor and the Range Director for Bristlecone's USPSA matches. 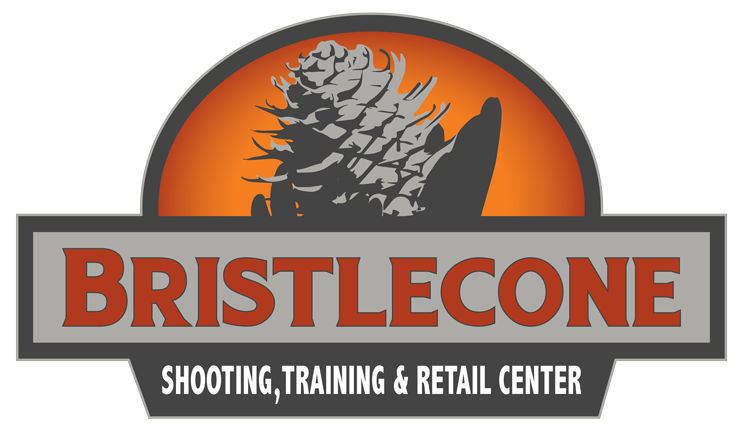 Bryan teaches Bristlecone's Intro to Competitive Shooting Class and runs the Bristlecone Shoot House Scenario Training. Bill started his career as a Jefferson County Sheriff in 1979 and became P.O.S.T. certified in 1980. Along the way, he has added numerous law enforcement and civilian instructor certifications to his credentials and is also a certified gunsmith. Bill retired from law enforcement in 1996 and is now the Bristlecone Range Master and one of Bristlecone's firearms instructors. Bill teaches our Intro to AR Platform Class. Trevor has been shooting consistently for the last 15 years and has carried a defensive handgun for the last 4 years. He has been teaching at Bristlecone for the past 2 years - both classroom and private instruction. He was certified as a Defensive Handgun Coach and NRA Range Safety Officer in 2015, and is working towards advancing his Instructor certifications, as well as his personal skill set, through constant, consistent and realistic training. Trevor teaches our CCW and Intro to Pistol Classes, and is available for private instruction upon request. Cindy has been shooting since before she was a teenager. In 2012, Cindy started shooting USPSA and took up 3Gun in 2014. Cindy has a passion for introducing people to firearms and to competitive shooting. She volunteers all over the USA at events and coaches for organizations that support new shooters with the same passion. Cindy is an NRA and Bristlecone Certified Instructor. She teaches our Intro to Pistol and CCW classes, and is available for private instruction upon request. Travis Gilliland learned to shoot at a young age and later served in the Marines for 4 years, where he was a four-time rifle expert shooter and yearly rifle qualifier. While serving, Travis trained Marines on service rifle manipulation, handling and use of rifles in vehicles and close quarters scenarios and specialized in breaching, room clearing, demolitions and rocket usage. He was deployed to Afghanistan, where he served as a vehicle commander and rifleman on foot patrols. Travis graduated from the Colorado School of Trades with a degree in Gunsmithing. He enjoys teaching youth and new shooters how to safely handle and operate firearms. Travis is an NRA and Bristlecone Certified Instructor and Range Safety Officer. He teaches our Tactical Rifle Training Courses, and is available for private instruction upon request. Dean Feinstein has over 5 years of professional firearms handling and instruction experience. His career began in the U.S. Army, where he served as a paratrooper and cavalry scout. While in the Army he deployed to Afghanistan, serving as a vehicle gunner and rifleman/grenadier. Dean was also deployed to Lithuania, Latvia, Estonia, Poland, and Ukraine as an instructor. Aside from his professional experience, he has had a long-time personal interest in hunting and sport-shooting. Dean is now a Range Safety Officer and Instructor at Bristlecone Shooting Training and Retail Center. Dean is a Bristlecone Certified Instructor. He teaches our Intro to Pistol classes and is available for private instruction upon request. Most of Bristlecone’s Range Safety Officers are certified to give private instruction upon request.